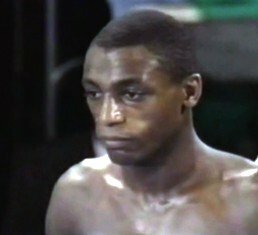 One of the genuine good guys of the sport, British great Herol Graham – arguably THE finest British fighter to have never won a world title – is in a pretty bad way right now. Reportedly, Graham is in hospital fighting depression, while his wife has advanced cancer and can no longer earn an income. Graham, the former British, Commonwealth and European king who retired with a 48-6(28) record in 1998 – after a stoppage loss to Charles Brewer in what was the ludicrously talented southpaw’s third crack at world glory – has been given a boost by way of hospital visits from the likes of Frank Bruno, Colin McMillan and other British boxing stars. Needless to say, we all wish Herol a speedy recovery too. It really was a joy watching Graham’s majestic skills back in the 1980s and ‘90s. Untouchable at everything apart from world level – and here too, Graham showed he belonged with the very best, pushing the superb Mike McCallum, then at his peak, all the way to a desperately close split decision for the vacant WBA middleweight title in 1989 – “Bomber” made good fighters look foolish in their inability to lay a single glove on him. Turning pro in 1978, Graham won his first 38 fights before losing on points to Italy’s classy Sumbu Kalambay in 1987. Graham, who campaigned at both light-middleweight and middleweight, regrouped and launched world title challenges against McCallum, Julian Jackson (suffering a brutal one-punch KO after he had ran rings around a badly busted up Jackson; Graham again having next to no support from Lady Luck) and Brewer (who also stopped him, in the 10th, but only after suffering two knockdowns himself). Since leaving the ring, Graham has lived a life far from the spotlight since his retirement, not picking up a job as a pundit or commentator. This is a shame, as Graham, a real student of the game who is both articulate and easygoing, would likely have been a natural in front of the cameras. The famed Brendan Ingle, who coached Graham during his heyday, has joined the vast number of well-wishers who have sent Herol their best regards and hopes for a full return to health. One of the many fine things about the noble art is the way fellow fighters and other boxing people come to help a fallen comrade during times such as these. Best wishes go out to Herol; a gentleman of this wonderful sport.